The next BGT will take place in Brussels, Belgium and Brühl, Germany from 18th to 29th November 2019. Registration will be open in September. This BGT will be open to Belgian and German police officers as well as experts from the Belgian ministries of Foreign Affairs, Justice, and Finance and external experts. It will be run jointly by the Egmont Institute and the German Police Academy of Brühl. For more information please see below. Check the programme of our ENTRi-certified BGT. 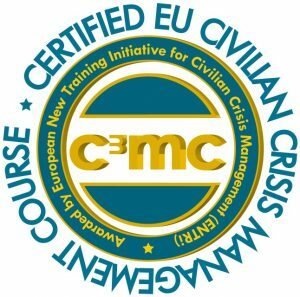 Candidates interested in working for a Civilian Crisis Management (CCM) mission or an international peacebuilding mission have to follow a two-week Belgian Generic Training (Basic Core Course in EU standards). The Egmont Institute has been organising the BGT twice a year since 2009 in partnership with the Belgian Ministry of Foreign Affairs, the Belgian Ministry of Justice and the Belgian Federal Police. 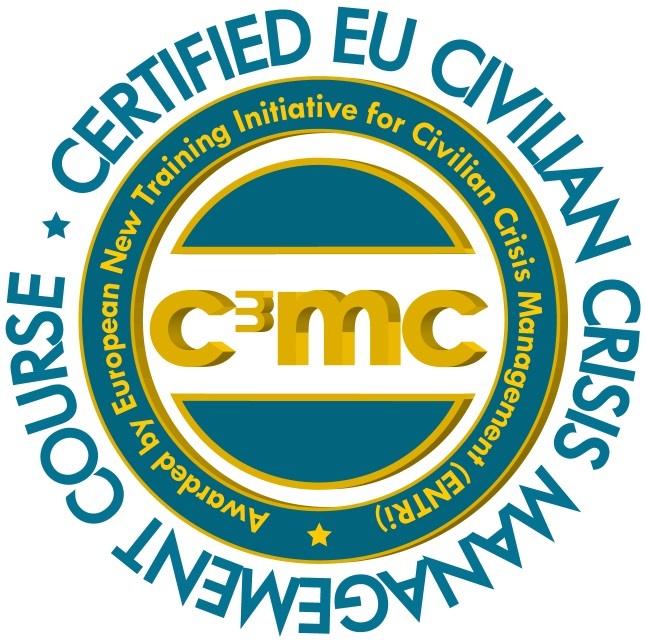 The Belgian Generic Training has been certified by the European New Training Initiative for Civilian Crisis Management (ENTRi), which proves that this course is coherent with the minimum standards requested by the European Union. Through the certification process, ENTRi aims at ensuring the harmonisation of training standards for training institutions offering courses on civilian crisis management. The standards of this course can be downloaded from www.entriforccm.eu. In collaboration with experienced trainers and expert speakers, participants are provided with the basic knowledge and skills required to work in a field mission, regardless of the specific function they will fulfil in international peace operations. This integrated training is in line with the latest EU training standards and is compulsory for deployment. It regroups federal police officers, magistrates, civil servants of the Ministry of Foreign Affairs and external experts, in order to enrich the pool of trained personnel subject to deployment. The course is for Belgian participants. However, depending on the number and profiles of Belgian candidates, a limited number of experts from other EU Member States may be accepted. Participants are professionals with a relevant educational and professional background. Experts should be prepared for deployment in a CCM mission for a minimum of one year. Contact: Ms Elise Cuny, Project Manager, Education and Training Programme. Applications for the BGT of March-April 2019 are now closed. The next BGT will take place in November 2019 and a new call for applications will be announced at a later stage. This two-week core course offers a general introduction and preparation for possible employment in an EU, UN or OSCE mission. The BGT is characterised by very practical, mission-related and relevant exercises. For the first time Belgium and the German Police Academy of North-Rhine/Westphalia co-organised a Generic Training for Belgian and German civilians and police officers to be seconded in civilian crisis management missions, in the framework of the United Nations or the European Union’s Common Security and Defence Policy. This bilateral and comprehensive training has proven successful in sharing expertise and professional backgrounds, with the involvement of the Belgian partners from the Ministry of Foreign Affairs, the Ministry of Justice, the Federal Police and the Egmont Institute. 25 March – 5 April, at the Egmont Institute for 16 participants from the Belgian ministries of Foreign Affairs, Justice, Finance and external experts. View the programme. 19-30 November, Pilot course with the German Police Academy of North-Rhine/Westphalia. View the programme. 19-30 March, at the Federal Police Building CGI. View the programme. 09-20 Oct., at the Ministry of Justice and at the Federal Police Compound ‘Géruzet’. View the programme. 20-31 March, at the Federal Police Compound ‘Géruzet’. View the programme. 17-28 Oct., at the Federal Police Compound ‘Géruzet’. View the programme. 14-25 March, at the Federal Police Compound ‘Géruzet’. View the programme. 16-27 Nov., at the Federal Police Compound ‘Géruzet’. View the programme. 23 March -3 April, at the Federal Police Compound ‘Géruzet’. View the programme. 13-24 Oct., at the Federal Police Compound ‘Géruzet’. View the programme. 14-25 April, at the Federal Police Compound ‘Géruzet’. View the programme. 21-31 Oct., at the Federal Police Compound ‘Géruzet’. View the programme. 15-26 April, at the Federal Police Compound ‘Géruzet’. View the programme. 15 Oct. – 26 Oct., at the Federal Police Compound ‘De Witte De Haelen’. View the programme. 16 April – 27 April, at the Federal Police Compound ‘De Witte De Haelen’. View the programme. 17 Oct. – 28 Oct, at the Federal Police Compound ‘De Witte De Haelen’. View the programme. 28 March – 8 April at the Federal Police Compound ‘De Witte De Haelen’. View the programme. 18 Oct. – 29 Oct. at the Federal Police Compound ‘De Witte De Haelen’. 8 Mach – 19 March at the Federal Police Compound ‘De Witte De Haelen’. November 2009 at the Federal Police Compound ‘De Witte De Haelen’.